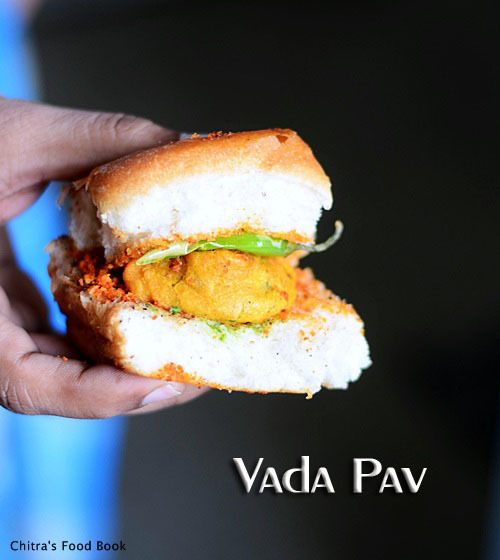 Vada pav needs no introduction.As u all know,its a very famous street food which was born in Mumbai,Maharashtra.Here in Bangalore,i have tasted vada pav only in Goli outlets.Recently i went to Goli with my school moms friends just for a kitty party.There were nearly 7 varieties of vada pav.We ordered one each in all the varieties,we shared & relished it.Everything had its own taste & flavor.I loved masala vada pav more than all.In Goli,they use readymade frozen batata vada & the moment we order,they just deep fry the vadas in oil using an electronic fryer for 6 minutes at 180c and serve us really hot.The one i tasted in Goli tempted me to try at today.As my daughter is a very big fan of pav recipes,she told me to make & keep it ready for her evening snacks after she is back from the school . 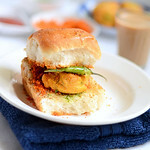 For this recipe,i watched the making of vada pav in you tube videos & browsed through few websites too.Believe me,it came out awesome!I made Batata vada,Sukha(Lehsun)/dry garlic chutney,Green chutney and everything came out really well.I was very happy with the outcome.Now i can make yummy vada pav at home easily for my family & guests as well.But still i wish to taste the original Vada pav from Mumbai fast food corners at least once in my life time . 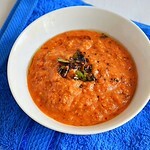 Grind the ingredients given under “ Dry garlic chutney” to a powder adding required salt. 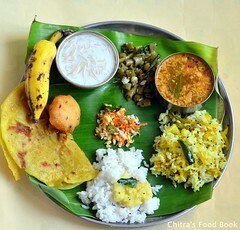 Keep it ready in a bowl.Again grind the ingredients for “Green chutney” and keep aside. 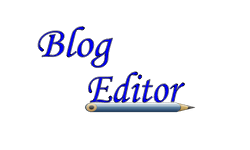 Now heat oil in a pan and splutter mustard seeds & curry leaves.Add the mashed potato mixture & mix well until everything comes together as a mass.Remove & let it cool.Then make golf sized balls and keep it ready.U can make it flat or round balls. 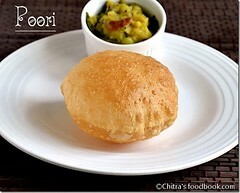 Now prepare the bonda batter by mixing all the ingredients in a bowl.Mix well and dip the potato balls. Heat oil and put a pinch of batter for testing the heating point of oil.If the batter rises up immediately,heat is just right.Simmer the flame & drop the bonda in batches,cook them both the sides.Remove & drain the oil.While u deep fry the bondas,u may get some tail portions,collect them together,crush it using ur hands and mix with dry garlic chutney.They are nothing but besan crumbs.But this step is completely optional.If u don’t want to follow this,just remove them and have it as such.It tastes super crispy. 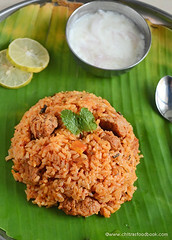 Take the pav buns and slit it like an open book using a knife. 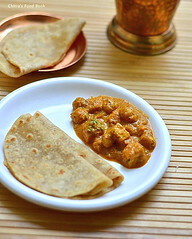 Now heat the dosa pan and add 2 tbsp of butter.Sprinkle some dry garlic chutney powder and place the pav buns over the chutney powder.Grease it well in the inner part. 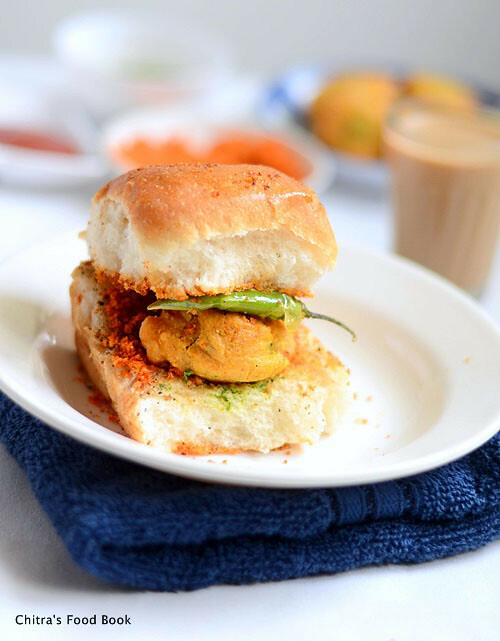 Take the roasted buns and sprinkle some more garlic chutney powder if needed.Then apply green chutney on one side of pav and place the batata vada.Cover it and serve immediately with fried green chillies on side. 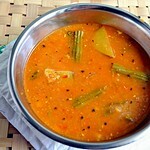 Add more chillies in potato mixture if u want more spicy vada. Some poeple add roasted & crushed peanuts & sesame seeds to dry garlic chutney.But its completely optional.U can also add a pinch of tamarind piece while grinding. 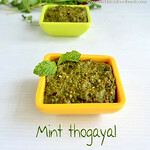 This dry garlic & green chutney stays good for a week if refrigerated in an air tight box. 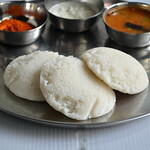 Make sure u use fresh pav buns for best taste.I used nilgiris brand pav buns here. 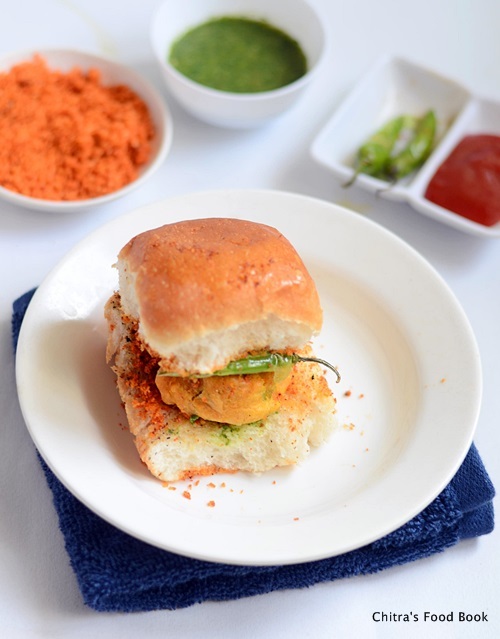 Green chutney is optional here.In Goli,they din’t add green chutney for classic vada pav recipe.So its ur choice. 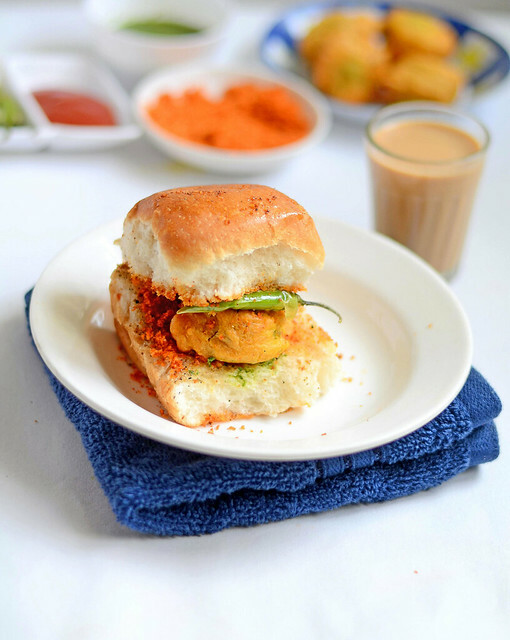 Enjoy this mumbai style vada pav recipe with hot masala chai.Tastes heavenly !! 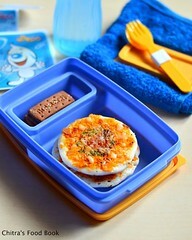 Beautiful clicks.. And tthe vada pav looks so tempting..
did it tasted like goli vada pav ?